Contributed by David French, All the torque all the time is another in our series of guest articles by contributors from across the motorcycling community. David is a founder member of MAG Ireland (two decades ago) and has occupied various roles in the organisation. He has written for several magazines and his main interest is long-distance touring. We’re not a motorcycle review publication, for that you should look at Bike Buyers Guide, but it’s only once in a century that a fundamentally new form of motorcycle comes along. We went, we rode, we were amazed. It was late afternoon on June 27th when I showed up for a test ride at an American bike company HQ which also incorporates a showroom and factory. The route and ride were great, some urban commute with a little traffic then up the hills on Granite Creek Road behind Scotts Valley for some canyon carving. A deer crossed the road, some very wide firetrucks raced by in the opposite direction, a car nearly pulled out in front of me and I overtook a few cyclists and trucks . We swooped along and it was business as usual really. I was on their 2013 DS model and the usual checklist of bike review stuff was going through my head. Suspension was a bit out of adjustment with not enough damping, the front end definitely needed another disc and I was still wondering if the switch to a shorter wheelbase compared to my usual lengthy bike was the issue or if there really was something unusual about the weight distribution when coming into corners. The bike was medium weight and comparable to a 600. Power felt like between 50 and 60bhp, throttle responsiveness was good and I was having fun, a lot of fun, in fact this was probably my most fun test ride since BMW launched the 1200GS in 2004. For the first few miles I kept kicking air where the gearshift should have been and neither was there a clutch in the usual or any other place. My left side felt redundant as this was all automatic. Just like my rental car the throttle alone was sufficient. It was responsive when moving, gave predictable engine braking when closing and delivered a controlled measured getaway from a standing start. The second bit of distinct oddness was a lack of engine noise. I could hear tyres on the road and wind noise at speed but no throttle-modulated howl. When we stopped at lights we talked as if on bicycles with no noise and no engine heat. More subtly there was no vibration, at all. The bike never ever felt like stalling despite standing hill starts, super slow uphill walking speed sections and magically always seemed to be in the right gear. Overtaking at 50-60ish was effortless with the bike in an obvious sweet spot just when it should be. I was flying through the forest with only wind noise in my ears, it was getting dreamlike. 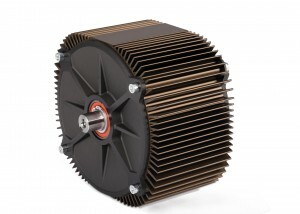 The Zero’s power comes from this electric motor. But hard reality was still there. I braked hard and locked it up, lent low in corners, pulled hard out of them, sensed an incipient weave and gradually increased in confidence and speed as the characteristics and limits of the bike became clearer. The ride along the forested roads was exhilarating and all too soon we were back to base where we rolled the bikes into the showroom and plugged them into the wall. Imagine a motorcycle where the starter motor and battery got bigger but the engine, petrol tank and gearbox just disappeared along with their running cost and maintenance burdens. That’s an electric motorcycle and after a few years of rather feeble numbers when it came to power and range they’re finally a realistic proposition which can go up against conventional internal combustion engines at each level, moped size bikes for city commuting at one end and high cost racebikes setting records at the other extreme. 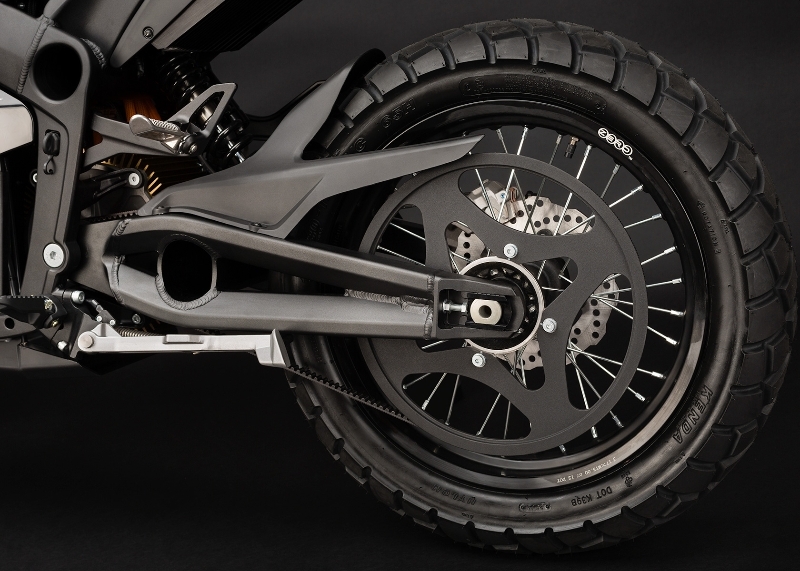 In between there are these, the counterparts to regular motorcycles providing real-life performance, range and cost. Range is the traditional issue with electric vehicles. Real life “ride it like you stole it” usage gives around 70 to 80 miles which with some gentleness and moderation can be stretched to about half as far again. Regarding speed these naked bikes max out just under a ton for a quick blast, 70-75mph motorway usage is ok but sustained 80-90 mph is too much and triggers a warning of imminent power reduction to protect the system. Recharge time is the other variable and without special charging accessories or charging station options a regular overnight charge costing a few euro brings it back up to full. The vast majority of commutes fit inside this envelope and if they don’t then a recharge at work is worth looking into. If you’re the sort of guy or girl that takes long touring holidays and plans solo rides across the Sahara the hard way then maybe this is probably better as your second bike just for the 9-5 ride to work days. On the other hand I’ve been to places in Africa where electricity wasn’t an issue but petrol was only available at the end of a long queue, if at all, your mileage may vary. In the US there’s been several coast to coast runs already both crew-supported record setting efforts and solo unsupported runs. 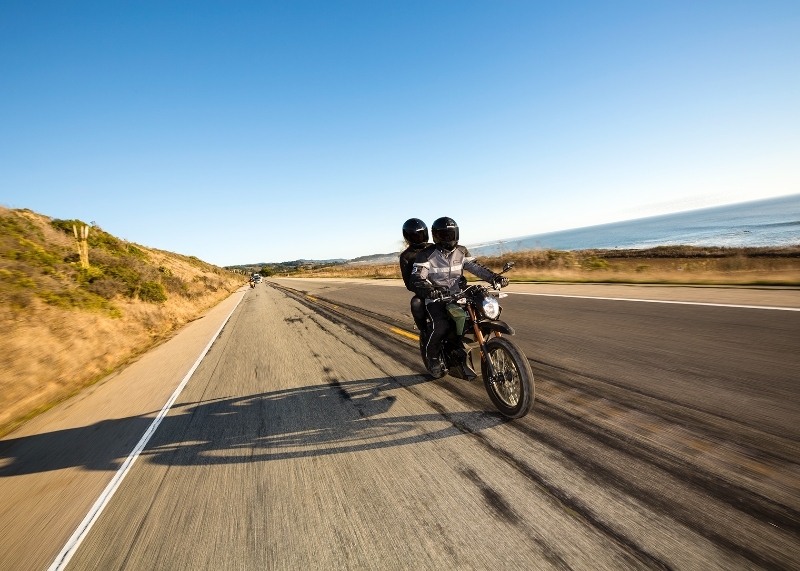 For the next few years some serious forward planning (hint: use the Internet) is needed for long distance electric motorcycling but in reality how much of your motorcycling actually is long distance versus the daily grind ? Purchase cost is way more than you’d expect for the performance but running cost is radically lower. A fill up of electricity is a very small fraction of the cost of a tankful of petrol and with no regular engine to worry about it’s really just about brake pads and tyres. Service intervals at somewhere around 10,000 miles are mostly about checking bolts for tightness and having a look at the belt drive. In reality it feels like they made up the need for a service interval as an excuse to check in for feedback to see how the ownership experience is going so far. The powertrain battery-controller-motor is a separate product and comes inside several motorcycle form factors for which Zero have also made their own frames. 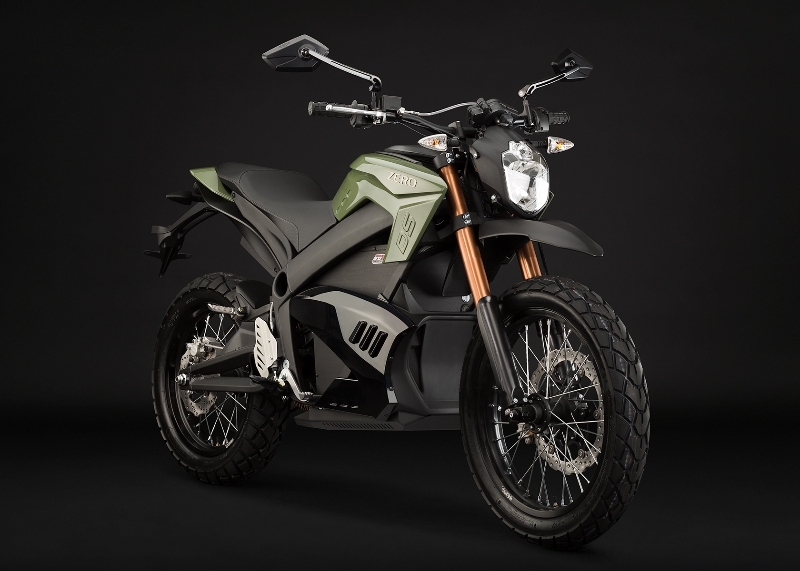 A motocross style range of bikes with less range and smaller swappable batteries is available so if you feel the need you could take one of the two batteries out of those bikes and bring it indoors to the home or office for charging. The idea of quiet motocross tracks is also appealing. Others have looked at application in go-karting. Plan ahead and distance riding is possible. 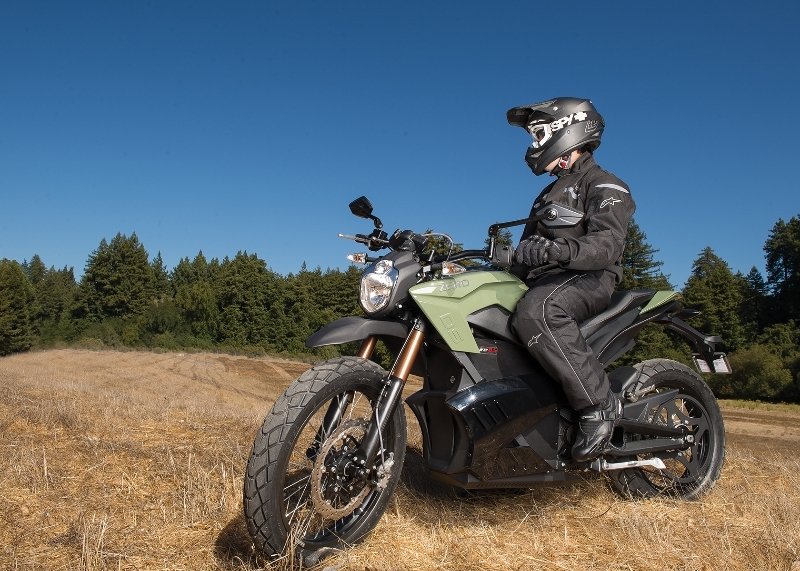 For the roadgoing set the regular S and DS models have much larger batteries and charging requires plugging the bike into a regular socket, halving the charge time with a special charger or getting connected with an adapter to the same sort of charging stations used for electric cars. That is if you can actually find one outside Silicon Valley, Japan or your local capital city. Listings show some in Cork, Dublin, Limerick, Belfast and London. If you do find one then charging is possible inside an hour. More than the traditional petrol station cigarette break but a good excuse for lunch. When it comes to the bike itself it’s all about the motor rather than the components they’ve put around it. The motor is the same across the bikes with the variations being in the controller and battery size. Low down turbo-diesel like torque comes to mind when powering up hills. It’s no coincidence that the fastest bike by a margin at the Pike’s Peak hillclimb was electric. Expect to hear that a lot over the next couple of years. 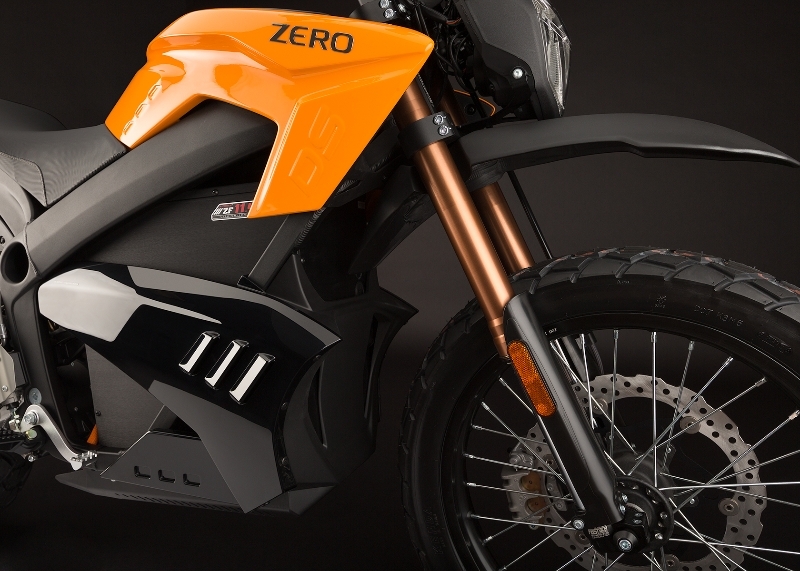 At the same event Zero set a new record for production electric motorcycles. No review is complete without mentioning competitors and here the only direct one appears to be Brammo with their Empulse R. Brammo have taken a more conventional but possibly less confident route by keeping the old-style gearbox and putting watercooling around the electric motor. This delivers better off the line acceleration and conventional gearchanging feel at the cost of more transmission noise, cost and complexity. Worth a look but after trying the Zero DS without a gearbox it’s hard to see the need for these legacy solutions. On the other hand RideApart rated the Empulse R above the conventional Triumph Speed Triple citing the greater mass centralisation as a serious plus. 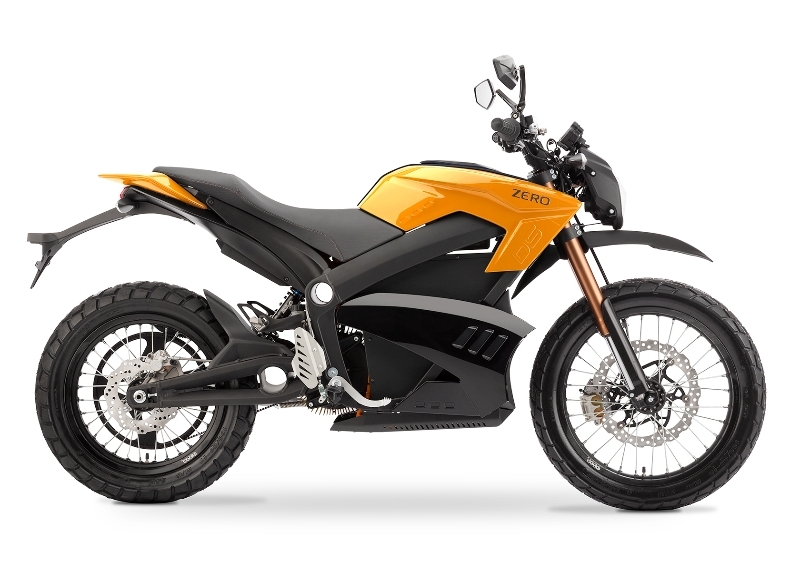 There’s several other road-going motorcycle makers advertising but it’s unclear how many intend to or are capable of producing an affordable bike at scale versus limited production for racing (Lightning) or one-off and costly customs (Brutus). 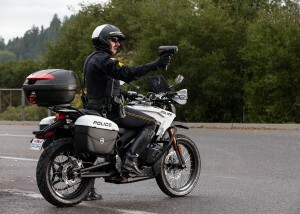 Zero have recently taken two police fleet orders so their ability to ramp up is clear. This space is changing fast though and the major OEMs are obviously monitoring closely. Wait and see. 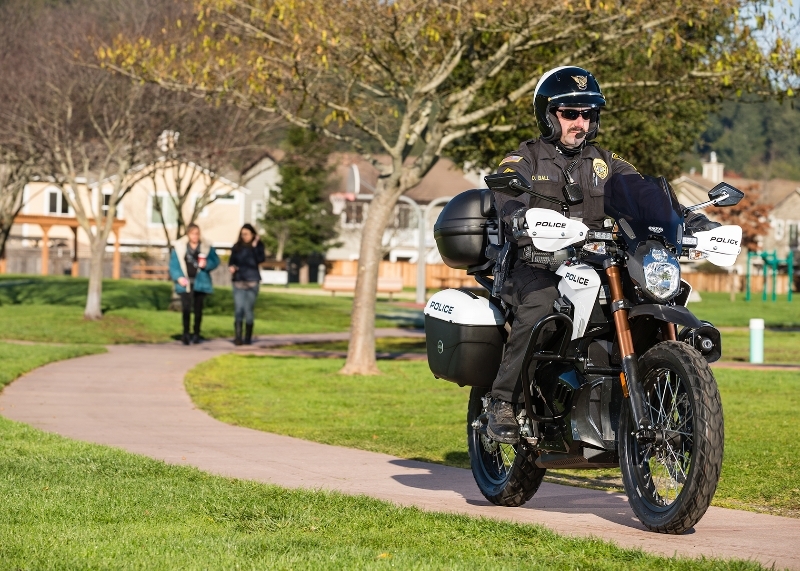 Law enforcement organisations are already deploying electric motorcycles. So it’s all good for sunny warm and dry California but how does it work in Ireland or the UK ? Does perpetual damp and cold affect the electrics or the range ? This is relatively unexplored but unlikely to be significant given there’s already quite a few of these bikes out there in mainland Europe. As there’s a big battery inside then leaving it outside in the freezing cold is less than ideal. Indoors on a trickle charger is a lot happier state. On the other hand unlike an internal combustion engine then provided there’s a charge on board this thing will definitely start. One of my colleagues has already put 5000 miles on the 2013 model and with thirty years of riding behind her, having stepped off various Harleys and a Kawasaki 600 sportsbike is very explicit on stating she’s never had so much fun on a bike. Life is not without issues of course, this is new technology and one of the funny quirks she found was that the regenerative braking system (feels just like engine braking) used to just abruptly stop a few miles into her daily 30 mile each way commute leaving her with a two-stroke-like no engine braking feeling. The battery was fully charged, it no longer needed more charge so it turned off the regeneration, And then a firmware update after a routine service fixed that issue. Welcome to the 21st century. 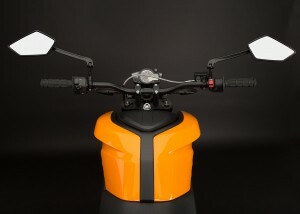 The 2013 Zeros come with a Sport/Eco switch on the dash which swaps profiles. Further customisation can be done with the smartphone app (available to non-owners in the usual App stores for Android and Apple “Zero Motorcycles” ) which pairs with the bike over Bluetooth. This allows regeneration / engine braking levels to be increased, top speed to be limited and other stats and logs to be pulled. You’ll be wanting a flyscreen with this one. When it comes to the torque number comparison is difficult as the standard definition requires a crankshaft. Suffice to say there’s far more torque than you’d expect, it’s there all the time and especially when you want it. Pulling up hills is where this excels and roll-on overtaking power at 50mph surprises every time. Much of electric motorcycle thinking focuses on the interplay between insignificant running cost (equivalent to an mpg figure in the hundreds) versus upfront large battery cost. The battery is at least half the total cost of the vehicle and is best seen as an upfront payment on fuel. How this frontloading works for you depends on your pocket, annual mileage, whether it’s made up of daily commutes and your overall riding style. On top of that European costs on the bike, the electricity and the petrol alternative are different from the US. Probably it pays back in three to four years or less. Factor in your time fiddling with the bike or visiting the dealer and you’re very likely ahead. On the other hand who ever fretted over mpg when buying a motorcycle? These are not just utilitarian modes of transport, there’s passion involved in the purchase and that’s hard to put a number on. 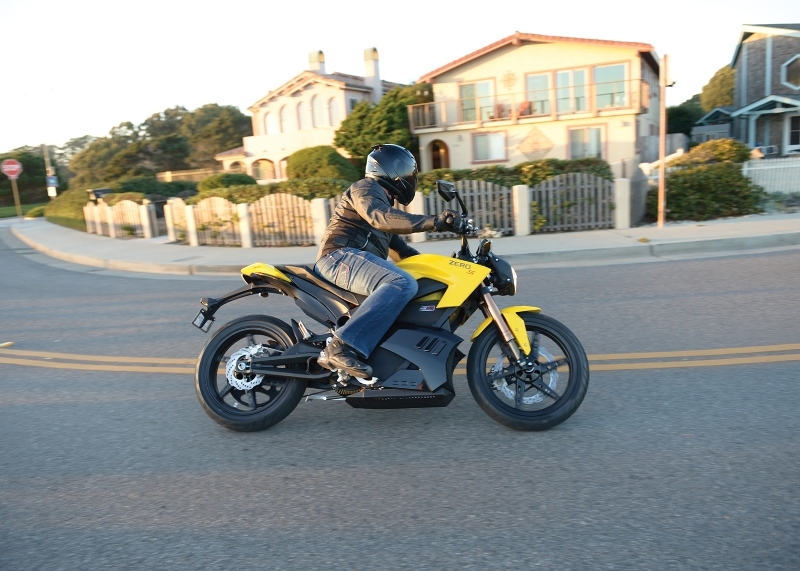 Tracking the progress of electric motorcycles since 2010 shows almost unbelievable advances. Power in the 2013 models is up 90% on the 2012 models. This sounds like Moore’s law but on bikes. Zero stress that this magnitude of advance is very unlikely to be repeated and from now on we’ll see more incremental annual improvements. There’s a potential early adopter trap to be balanced against having the most unique bike on the block or even in the country. Of course the real question for a potential buyer is not whether the 2014 model is likely to be stunningly better but whether the 2013 model meets your needs now. Founded in 2006 and based out of California Zero Motorcycles is on a mission. For further info there’s absolutely loads of it on the internet. The purpose of this piece is simply to say that despite the positively dreamlike unreality of the riding experience these are very real motorcycles in all the ways that matter. Can’t say better than that. Go get a test ride.